Leading Liberal Democrat blogger Mark Thompson looks ahead to the prospects for the Lib Dems in the new year. I don’t think it is much of an exaggeration to say there has been a seismic shift in British politics since the general election in May. For the first time in 65 years, there are members of the third political party in government. Lib Dems are now in power and making a difference to government policy in a way that their more recent forebears could only have dreamed of. However that power has come at a price. The party is having to take decisions, some of which are very unpopular, as evidenced by the recent tuition fee protests. To govern is to choose as the old saying goes and the yellows are now very much having to choose their path in government. 1) The May local elections: Despite the fact that they should be about local politics, local elections invariably end up being filtered through the prism of the national political situation and I expect the May 2011 local elections to be no different. There is a real risk that with the Lib Dems bumping along in the low teens in the polls – and in some polls even lower – this could be reflected in the local results. We will know much better what the national response to the Lib Dems in government is on the morning of May 6th 2011. Nick Clegg will clearly be hoping for a good (or at least OK) result. Expect furious expectation management in the run up to the poll in an attempt to influence what “good” and “OK” are perceived as! If it is a bad result then inevitably more Lib Dem members will question whether the party’s national strategy is correct. 2) The AV referendum: Although on the same day as the local elections, the dynamics and consequences of the result of the AV referendum are very different from the local elections for the party. The Lib Dems find themselves in the slightly odd position of spearheading the campaign for a change to an electoral system that was not even in their manifesto (and indeed was in the Labour manifesto!). However that is one of the consequences of coalition government and the compromise that was reached in those five heady days back in May. Most Lib Dems and electoral reform campaigners in general think AV is a lot better than first past the post. At the moment the polls are showing mixed results on how the vote might go which could be down to the way the questions are worded. There would certainly seem to be all to play for for those who want to see a change for the way we elect the Commons. Indications are that if the referendum is lost the Lib Dems in government will simply keep calm and carry on. There is no doubt though that if that were to happen a lot of people both within the Lib Dems and others who wish to see an improvement in the electoral system for Westminster will be deeply disappointed. The one silver lining here though, were this to happen, might be that the long sought after prize of a fully elected second chamber under proper proportional representation by 2015 may be close to being realised as a result of the coalition being in government (for which an AV referendum was a prerequisite) and for some that might be a better long term result than AV for the Commons. 3) March Budget: From what I can discern, plenty of Lib Dems at the grassroots level felt that the 2010 coalition budget, despite some disappointing measures (e.g. the VAT rise) was actually good from the perspective of fulfilling some of the promise of the Lib Dem manifesto. There was the movement of the starting threshold for paying tax up by £1,000 (a start on fulfilling the Lib Dem pledge of taking everyone on less than £10,000 out of tax altogether) as well as a change in the rate of capital gains tax from 18 per cent to 28 per cent amongst many other measures that would not have happened were the Conservatives governing alone. In the budget next spring I expect to see even more clear Lib Dem influence that the party can point to. For example I would expect it to be announced that the lower threshold is to be moved upwards again even if the actual implementation is deferred for financial reasons. The benefits for Nick Clegg of a strongly Lib Dem influenced budget are obvious but interestingly there are benefits for David Cameron too. He is acutely aware of the political difficulties that his coalition partners are facing and the last thing he wants is for his government to be at risk of fracturing. For that reason alone expect a heavily yellow tinted budget. 4) The legacy of tuition fees: Following the vote in early December that passed with a majority of 21, it will be interesting to see what the legacy ultimately is. Twenty one Lib Dem MPs voted against the measure; that is well over half of the Lib Dem backbenchers (those who are not the so-called “payroll vote” within the government). As we have seen in previous parliaments, once backbenchers get the taste for rebellion it is easier on future occasions for them to rebel again. And of course the more MPs rebel, the less likely they are to be promoted into government in the future and so the cycle can become more and more reinforced. It is worth pointing out, however, that there are not really any further votes within the lifetime of the parliament that will likely be as totemic and where there are pictures of virtually every Lib Dem MP holding pieces of paper saying they will not do what they then go on to do. On that reading this situation in retrospect may be seen as a low point from which the party recovers over time rather than the pattern being repeated. Nick Clegg will certainly hope so! In summary, everybody in the Lib Dems recognises the difficulties the party faces and I doubt anyone underestimates how hard things are likely to be at some of the cuts start to bite. That is why it is crucial there are further substantial and unequivocal Lib Dem policies announced and implemented in the coming year. No doubt Throughout 2011 thanks to the Tory Cuts only achievable due to Lib Dem collaboration My prediction is ”PAIN’ pain certainly for us and pain for the Lib Dems but at the end when the British people vote the Lib Dems out of every local and national office they currently hold. “…May I express an opinion based on many many years as a close observer of government and politics (the first general election I followed closely was in 1964), since then I have voted variously Labour, Liberal and Liberal Democrat, LibDem last May. In the light my past observations, I have not a shred of doubt that this last general election was by far the most disgraceful piece of non-democracy that I have witnessed. The Liberal Democrat leader garnered thousands if not millions of votes for policies he himself disagreed with, but, undaunted, he used them go gain votes nonetheless. The Conservative leader never campaigned on a big “cuts’ and “roll back the state” platform, but that is patently what he (and Clegg) had in mind. Neither the Tories nor the LibDems have a mandate for these cuts, with their inevitably bigger effect on the poorer amongst us. 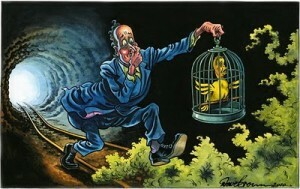 If Clegg and Cameron are sure of their support, then they should call a “cuts” general election. I would suggest neither of them have the simple guts to do that…..
…….As a LibDem voter (now very much ‘ex’) what exactly did I vote for? Was it ‘grown-up politics’ whereby politicians say one thing to get elected and do something different when in office, or is that “old” politics (sometimes referred to as “lying”)? Did I vote for ‘new politics’ whereby politicians say one thing to get elected and do something different when in office? Did I vote for a ‘phased reduction in the deficit’ or a car crash economics policy? Did I vote LibDem or Tory? – I honestly can’t tell the difference any more. Did I vote for Mr Clegg as he appears in TV election broadcasts or did I vote for the real Mr Clegg? (ditto the rest of the LibDem MPs). In the words of the marvellous Pete Townsend…. “won’t get fooled again”, and that goes for millions more ex-LibDem supporters, including now Mr Colin Firth”. If you have the time to read this, I thank you. Any news yet of the cuts Labour would have introduced – you know 44bn and 20% cut in the public services? That’s the way to get the more intelligent Lib Dem voters – a PROPER PLAN. I think the big test will be banking reform. There is no doubt Vince Cable wants radical reform of the banking sector, but there are Tories who do not like that. According to Robert Peston, Vince may get his way, see http://www.bbc.co.uk/blogs/thereporters/robertpeston/2010/12/will_the_chancellor_regret_cre.html. But one way or the other this will be a pivotal moment in the politics of the Coalition. As will be the AV referendum. I leave it to others to work out the impact of that. 2011 will also see the increase in VAT, the cuts from the CSR, radical cuts in local government (which will be very demoralising and leave many Lib Dems wondering what they are doing in local government) and fears of contagion of debt from the EU. Other big issues include Control Orders and the Human Rights Act of which the latter the Lib Dems are seeking to defend as hard as they can – but how far will they need to go? 2011 will be a very tough year for the Lib Dems with a lot at stake. Any news of the fair fuel stabiliser that was in the Conservative Party manifesto? Lib Dems can’t sell people out in 2010 and expect love in 2011. Don’t forget, Lib Dems helped abolish free school meals for low-income families, and Mark Thompson has failed to mention EMA’s. With more cuts and tax increases in 2011, this is going to be the year of consequences. If the economy recovers, the Lib Dems are unlikely to do so well out of it, as they opposed immediate fiscal tightening in the election. They’ve been exposed as liars and I think the public have a much deeper sense of disappointment and betrayal than this writer suggests. If Labour got it’s act together and had a clear set of policies, I think this coalition would unravel very quickly. Can’t see the economy recovering in 2011, too many headwinds at the moment, which aren’t going away any time soon. Nick Clegg can’t seem to understand, he has turned off Labour supporters. A good chunk of support in 2010 where Labour supporters disaffected with the party saw him as a counter weight to Cameron. That impression has disappear, and he has been lashed to Thatcherism. I appreciate your remarks about Miliband, but it is only going to be in the second half of 2011 that he will have to stamp his presence of the country. Nowadays we expect people to be perfect from the gun, which is not possible. I commend you for oyur efforts Mark. You deserve the purple heart for bravery, blogging as a yellow in 2011. Are you sure? What about the Howe budget of 1979, which also saw reductions in income tax paid for by increases and extensions to VAT? This Lib Dem pledge may be admirable as a means of helping poor to average tax payers (though not, of course, those poorest citizens whose income is already below the current tax thresholds). However, it is only helpful, progressive and redistributive if it is paid for by the increases in taxes on the rich that the Lib Dems intended. In fact it is being paid for largely by an increase in VAT, an increase that will hit the poor to average taxpayers hard and non-income taxpayers hardest of all. It is a deeply regressive change. A shift from income tax to VAT is every Tory chancellor’s dream; hence Osborne’s declaration that the VAT rise is a ‘structural change’ that will never be reversed. It is a shift that always benefits the rich and disproportionately hurts the poor. That’s why every VAT rise the UK has ever seen has been introduced by the Tories. So, what started as a welcome Lib Dem aim to tax the rich more and the poor less has been hijacked and turned on its head by the Tories. Not for the first time, and certainly not for the last time, the Lib Dems are just a fig leaf to cover nakedly regressive Tory policies. Hardly something to boast about as showing the Lib Dems’ influence. I’m afraid there’s a bit of spinning going on here. The Lib Dems have broken promises on the economy, on VAT, and on tuition fees, and I don’t think the public will let them forget it in May. And if it came down to AV for the Commons against an elected second chamber, I would rather have the former. Matthew Fox – The Fair Fuel Stabiliser may have been implemented if the government wasn’t a coalition. Labour supporters REALLY don’t get this new politics it seems. You criticise another contributor here, Dan McCurry, for telling the truth about the union stooge, the dithering Ed Miliband and you suggest he should be given more time. So why no more time for the government Matthew? Your arguments lack any coherence and your blind, creepy support of the useless Son Of Brown shows that, like Gordon Brown supporters previously, you care more about the individual than the Labour Party which serves only to make the governments job easier. I’m with the Labour MP’s on this one – they know a dud when they see one and Miliband is certainly that. Mark Thompson – On the subject of Lib Dem policies what about them lifting the poor out of paying any tax? (This is exactly opposite to the last Labour government where Gordon Brown punished the poor with his removal of the 10p tax rate and the lies that he accompanied it with). So there’s one policy already. As for the few oddballs that bemoan the removal of the state feeding peoples children why do that when they are provided with benefits for just that purpose? One may argue the benefits are too low but after 13 years of a Labour government I’m sure people on this blog wont. One may argue those parents should be given food vouchers instead of money and judging by the numbers of single mothers I see whilst shopping in Asda who have cartons of Lambert & Butler cigarettes that may have merit but personally I just think that responsibility should lie with individuals and not the state. Which is where Nick Clegg comes in with his Freedom Bill. To me that’s the biggie. Everything the last useless government has burdened us with should be thrown out ASAP. The Lib Dems have had a flying start ridding Heathrow of Runway 3 almost immediately – an expansion I now discover was fully supported by Ed Miliband until quite recently (Chris Mullin in The Times this weekend). Also the stupid Home Information Packs have gone. ID cards have gone. Control Orders are being revised. The Gurkha’s. 90 Day detention etc etc. I would argue the Lib Dems have already had a good run in this coalition (although to me Cameron isn’t a Tory anyway) and all this sniping and bleeting from Ed Miliband serves just to remind people how sure footed this coalition government actually is compared to the irrelevant Labour Party. The fact is as soon as the strikes hit this summer, accompanied by the inevitable messages of sympathy from Labour supporters and MP’s, it will be over for Miliband. Mr Mouse I’m afraid we’ve been there before. Scrapping Runway 3 is about the only green thing this government has done. What is green about, for example, hiking up train fares by RPI plus 3%? How is that going to persuade people that there is an affordable alternative to the motor vehicle? Mr.Sensible – Happy New Year fella. Considering the rail franchises were continued under Labour why are you complaining? If Labour had disagreed with rail privatisation (as I did) they should have reversed it or perhaps subsidised it using some of the money they spent on foreign wars in support of George Bush and the right wing Republicans in the US. In any event it isn’t the government putting the prices up it’s the rail companies. As for petrol, the Fuel Escalator was also continued by Labour and after filling a Peugeot 206 diesel yesterday where it cost me £55.68 I would suggest the motorist is not escaping this lot either. Being as environmentally aware as I am (unlike an awful lot of other hypocrites on this blog) I now walk to the train and to work four days a week and although it’s expensive-ish it is a pleasure compared to traffic jams. yellows I think are set to poll 8,000 which on a turnout of 50% would actually defy the current national polls in their favour. Most of the LibDem obsessions are things which people in the area I live really aren’t bothered about. Fare enough, Labour giving the go ahead to Runway 3 was definetly a mistake. Fare enough, Labour should possibly have done more about the railways. However, what Labour did was to I think vertually nationalize the rail infrastructure, thus allowing Network Rail to clear up the mess inherited from Railtrack, the extent of which we found out with events such as Potters Bar. And on Oldam East and Saddleworth, I think Electoral Calculous is predicting a Labour win.